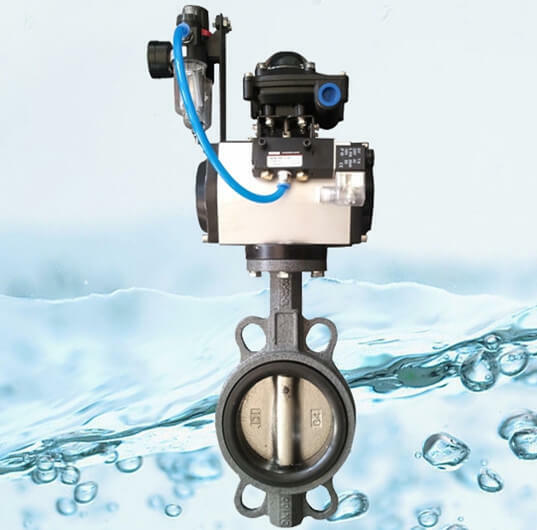 Diaphragm valve is a special form of cutting off valve, whose hoist part is diagram made of a piece of soft materials, it will separate the body inner cavity and bonnet inner cavity. Diaphragm valves in fact nothing more than "clamp" valve, a flexible and interference diaphragm can be connected to the compressed fittings by using bolt, compressed fittings are operated by the stem and move up and down, when the compressed fitting raises, diaphragm will hold up, which leads to access, when the compressed fitting falls, diaphragm will press on body weir (in case that is the weir-type valve) or press at the bottom of the outline (in case that is the straight-through), diaphragm valve is suitable for the switch and throllte uses. 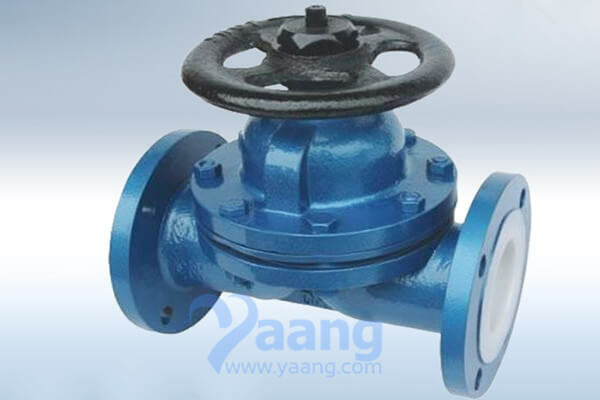 China Diaphragm Valve Manufacturer yaang supplies CF8 Diaphragm Valve.